Dark Times: Fire Carrier #4 is out today from Dark Horse Comics. 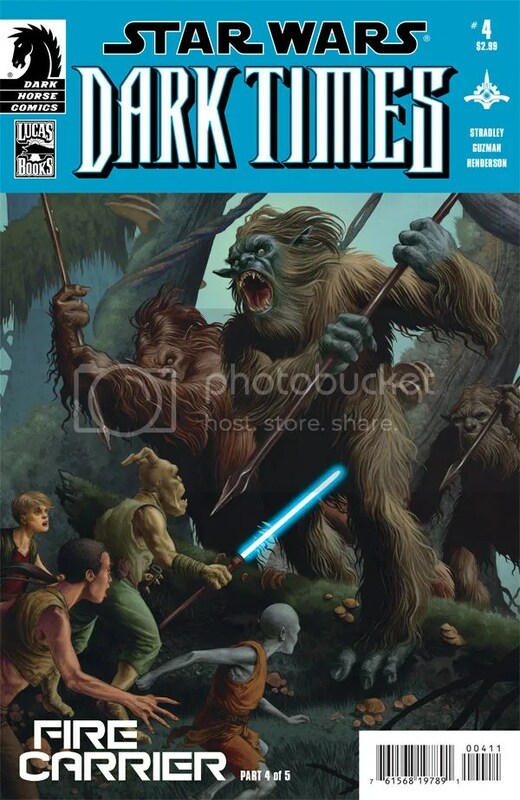 Jedi Master K’Kruhk goes to war against the soldiers of a local militia in order to give the Padawans he’s vowed to protect a chance to escape. But the Padawans have encountered a new, unexpected danger in the forest. What’s worse is that the Empire has become suspicious of the militia’s activities and is bringing in troops to investigate. The Force is a powerful ally, but even a Jedi Master can’t fight a battle on three fronts!